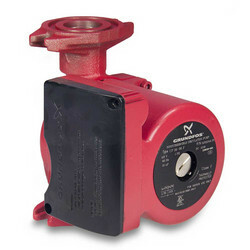 The Grundfos UPS26-99FC is a 3-speed cast iron circulator pump with built-in flow check. 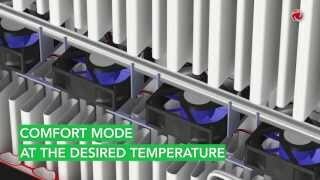 3 speeds (Low/Med/High) of the Grundfos UPS26-99FC make this model very versatile and allow to use it in a large variety of heating applications inlcuding radiant, hydronic, radiators, fan coils, etc. 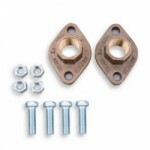 A built-in flow check eliminates the need to buy and install a separate in-line check valve. This circulator is designed for closed loop systems with medium to high flow rates and pressure drops. 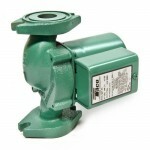 A built-in automatic resetting thermal protection of the pump assures motor safety and extends circulator’s life. Suitable for a wide range of applications, including radiant heating, hydronic heating, fan coil heating, solar and other system types.